If you want to see paradise on Earth, then there is no place better than Mykonos. It is considered one of the most beautiful places in the world. Mykonos is a wonderful island, located in Greece and truly deserves a visit. If you have never visited Mykonos, you need to put it on the top of your travelling list. The white and artistic buildings, standing tall with the beautiful blue sky is a sight worth a stare and looks like nothing less than a painting. Check our Frequently asked questions about Yachts. From nature filled hills to the white streets and from the tall and luminous buildings to the small, cute destinations, there is everything that can make your visit to Mykonos stand out. Now lets focus on Mykonos Luxury Yachts. Think of picturesque beaches, inky blue seas, and quaint villages. Among these, imagine having a cruise boat that is all yours, showing you the beauty that Greece has to offer. If you are looking to travel in luxury, Mykonos private boats and trips have just that to offer. Mykonos Luxury Yachts bring together the best of travel. You will see scenic beaches on which you can spend days in peace and quiet. You will be greeted with a vibrant nightlife that is unparalleled in its colors and entertainment. All of this take place in the midst of a rich historical undertone, with ancient sites and landmarks from the past that are surrounding you as you make the best of the present moment. Cruising through a scene like this, you will want to make sure that there is nothing distracting you from the moment that you are living in. For this reason, you can leave your travel plans to be arranged by us for your comfort. We ensure that you will travel in style and serenity with our yacht charters in Mykonos. The only thing you should set your mind to is yourself and the people around you. We ensure an experience that leaves no room for worry. Awash with sunlight, you will only remember bliss from your trip. It is time to start. Are you ready? Mykonos Luxury Charters will make sure that you are taken care of from the moment you start envisioning your plan. For this reason, we take care of all your travel arrangements. We make sure that you get the best of what Mykonos has to offer. Keep reading Mykonos Luxury Yachts to find out how we cater to all your needs. Chances are, when you think of Greek islands, you think of whitewashed houses sitting on a cliff, looking over at a beautifully blue bay. Everyone is familiar with the picture-perfect scene of perfectly white cuboid houses that are splashed with a hint of blue to complement the sea they overlook. You may even recall a blue church dome, or a windmill dotting the cliff. These are the Cycladic Islands around Mykonos. If you are visiting Greece, we encourage you to commit to an adventure that involves this picturesque view in front of your very own eyes. Each Greek island brings its very own landscape to the mix. You will be able to explore with yacht charters in Mykonos. With a unique blend of history and natural landscape, every island has its own story to tell. There are woods, and there are beaches. There is vitality on each island, making them hot spots in their own different ways. If you are visiting Greece, these islands are within an arms reach. This makes it essential for you to go island hopping, as each bathing on each island is different. You have the less visited and secluded islands such Sikinos, as well as the beloved island of Mykonos, Santorini, and Ios that make the heart and soul of people visiting Greece for its islands. There are islands that give you sandy beaches, the best of Greek cuisine, scenic villages, and a breeze of island air to whisk you off your feet. Our fleet gives you access to more Greek islands than you ever thought you could visit. No matter what island you visit with Mykonos yacht chartering, you will be greeted with a different story. Greek islands have everything to offer you from oak forests in Kea, hot springs in Kynthos, and a varied landscape of rugged dips in Andros. These are the quieter options where you can expect to unwind away from the humdrum of the city. The variety continues. Each island boasts its own homage to culture. Tinos has its pilgrimage sites, Anafi is blissfully remote, and Serifos is awash in harmony. Top it all off with a film famous Amorgos with waters so spectacular, they were made popular inLuc Besson’s film The Big Blue. 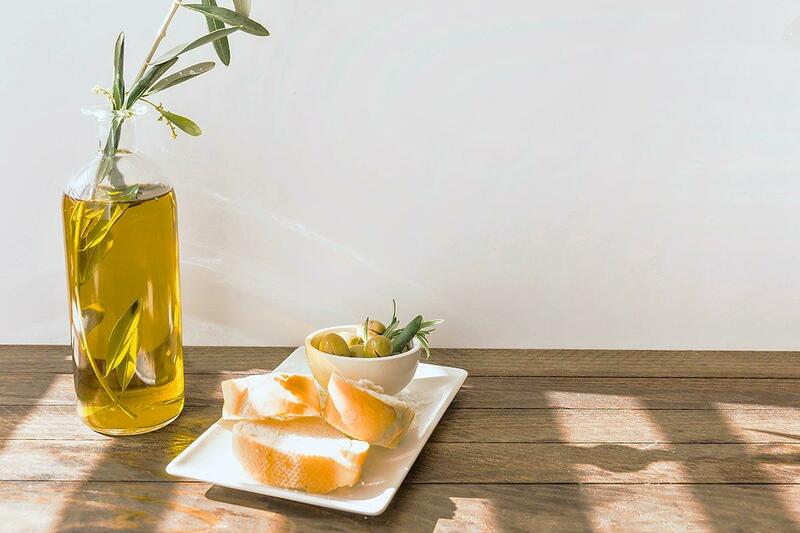 If you are looking for a carefully curated list to show you where you can feast on the food that makes the heart and soul of these islands, you have chosen the right travel partners. We have handpicked the restaurants that will offer you the finest cuisine that is Greek to its core. The finest restaurants in Cyclades. Taste the Mediterranean cuisine. Eva’s Garden gives you that authentic Greek experience with its open-air glory, set in a courtyard that is right in the center of town. Head over there and ask for their famous spinach pie and grilled fish while you are in Mykonos. Appagio is tucked into a corner near Ornos Beach, giving you a clear view of the sea, while you are indulging in the delicacies that are characteristic of Mykonos, from the best prepared local fish to traditional Greek cuisine such as Greek salad and moussaka. Stou Stratou can be found on the island of Serifos’ main town called Chora, the local word translating to main town. Stou Stratou is located centrally in the town square. It is rife with history and an air of importance, making it a little more than just a tavern. It is a kafenion. It has hosted more than the occasional conversation of the world’s affairs. It is known for its spectacular chocolate cake, range of vibrant breakfasts, and the best of meat, fish, or vegetable treats in the form of pikalia. Added bonus: the menu contains food for the soul in the form of excerpts of literature from many languages. Are you ready? Let us start the journey! If these islands are reawakening your sense of adventure and wanderlust, do not worry. Our work does not stop with creating dreams, it ends with making them come true. All you will have to do throughout this is sit back and relax while we take care of the necessary prerequisites. Keep on reading to find out how. When your journey is so remarkable, your vessel must be, too. You need to pick a yacht that gives you the most reach with maximum comfort. Mykonos Luxury Yachts charters can support you with an itinerary featuring visits to the best of the vacation locations that mix beauty, history, and elegance. The right yacht will bring you enough freedom and freshness to make for a trip that is unobstructed by the discomfort that being away from home brings. You will be able to soak yourself in luxury with its open lobbies, big windows, and chic furnishings. The right yacht will give you maximum reach in terms of its access to the Greek islands, while ensuring that the inside of the yacht is as much a vacation as the outside. Our fleet of yachts will feature a series of sizes, making sure there is enough room for everyone on board to travel in luxury. They come with different aesthetic options to please the eye as well as the heart of your travels. We offer a wide range of yachts, each tailored to fit the needs of your perfect vacation. We offer you an exclusive look into what the yachts look like from the inside, so that you know exactly what kind of home you will be surfing on with Mykonos yacht chartering. Take a look at our Mykonos Luxury Yachts and speedboats! Mykonos is the heart of Greece and has been able to bring in millions of tourists to this island. The beauty of Mykonos is nothing without the luxurious yachts that it has to offer. A holiday in luxury is a holiday that one never forgets. With these amazing Mykonos luxury yacht charters, you can add the extra glitter to your vacation and explore the beauty of this island in utter luxury, ease and comfort. Who wouldn’t want to travel in such eye catching beauties that hold everything that a man would wish for? Pick your Mykonos yacht charter and make your holiday special for your family and your friends. It is time to relax and get lost in the wonders of nature that Mykonos unfolds at every step. 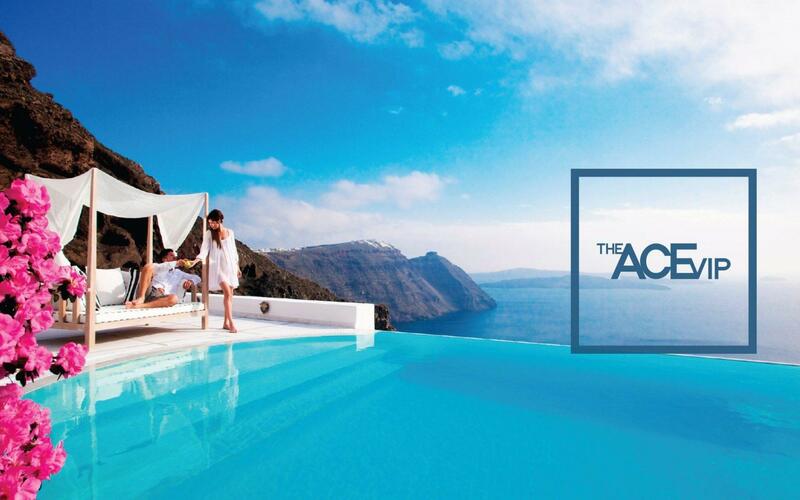 The Ace VIP is a luxury concierge service designed to meet your every need for rentals, real estate, and entertainment during your vacation. Unparalleled in its services to its clients, it offers a wide range of yachts for a Mykonos yacht chartering. The Ace VIP understands the importance of your vacation. For this reason, we have offer a fleet of yachts, speedboats and sailboats that help you live your life to the fullest while in Mykonos. The Ace VIP does not only manage yachts, speedboats and sailboats. It also manages people’s dreams. We try to make your dream vacation a reality by taking care of all the time consuming activities that may stall or obstruct your experience. 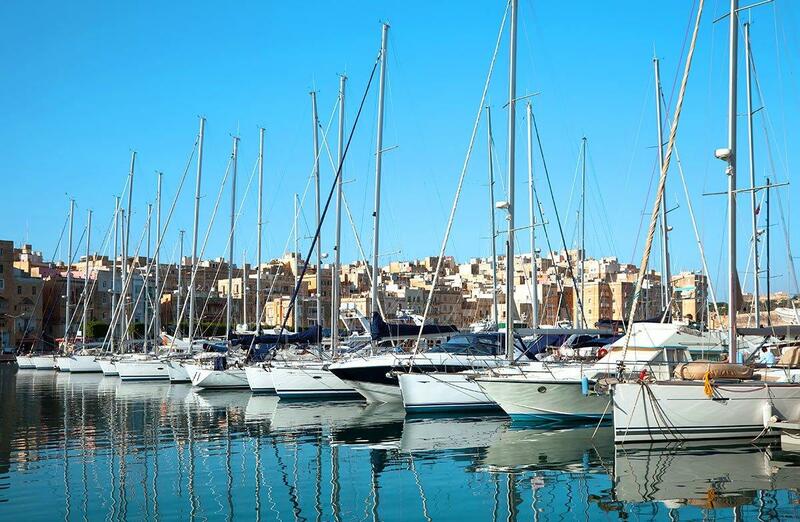 We ensure a smooth experience by handpicking the yachts and sailboats that are part of our fleet. We ensure that there is an option for your vacation, tailored down to the size and the journey you plan to take. We ensure that every detail is given attention to, giving you comfort greater than any home could while you are cruising with us. What services does The Ace VIP offer? The Ace VIP is a concierge service, so it meets all the special requests its clients have. This ranges from yachts, speedboats, and sailboats to villas and cars. Does the Mykonos Yacht Charter come with staff? Yes, the Mykonos Yacht Charter features a staff of crewmembers, chefs, skippers, and captains. As part of the Mykonos yacht charter family, you will find all your needs taken care of with no need to fret the details that take away the fun from vacation. We ensure that your travels are mixed in luxury and comfort, leaving your minds and hearts open to the beauty of Greece and her islands. How does the booking process work for yachts? First check out yachts and then let us know which vessels interest you the most by contacting us on email at legends@theacevip.com or by Phone/Whatsapp on +306943195090. Then let us know how many people there are in your group and the exact date(s) you are willing to go out in the open seas. It would be great to know if you have any additional preferences or requests like alcohol preferences aboard the yacht or required water sports gear. The most popular choices include professional snorkeling gear and Sea-Bobs. We will email you with the rates of the yachts you selected. Once you decide which yacht you like the most, we will reserve it for you by placing a 3-day hold. Then we will send you our charter agreement which includes charter terms and payment options. Once we receive the signed agreement and then subsequently the payment of the whole amount, then you are confirmed and set to go. First we will require only the passport of the signee, however, a few days prior to embarkation, we will remind you to send us all passengers’ passports in order to formally register them at the Port Authority. Do you provide yacht-share or time-share options? No, The Ace VIP does not provide options for sharing yachts between different groups and clients. What are the cancellation policies for Yachts? For cancellations up to 14 days before the embarkation date, we will refund 100% of the amount paid. For cancellations 13 days or earlier before the embarkation the refund is 0% except in cases of unsuitable weather conditions in Mykonos. In that case we will either try to reschedule your trip or we will refund you the whole amount. What staff is included on the yacht? Only captains and skippers are included. Food preparations and chefs are not included in the yacht rates. We have great chefs for you to choose from. We also provide additional gear for water sports upon your request including Sea-Bobs and professional snorkeling gear. What happens when major issues arise with the yachts? 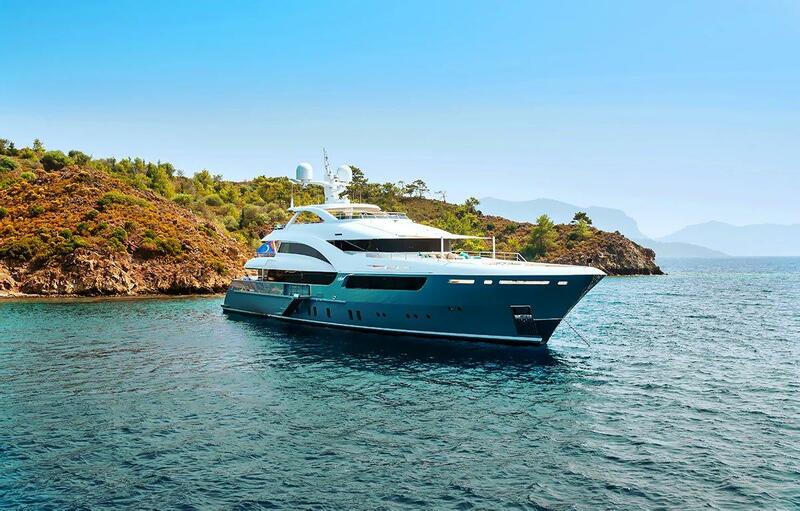 The Ace VIP is neither responsible nor liable for any faults with the yachts including breakdowns of mechanical parts, water problems, water filtration or other. If such an occurrence rises, The Ace VIP will investigate into the matter and invest a maximum effort into getting the problem solved. If the problems still persist, then The Ace VIP will look into other solutions including change of yacht or refunds. Further, The Ace VIP assumes no responsibility for accidents, injury, death or loss, including consequential damages from the rental and use of the yachts or water sports gear. As a precaution, do not leave children unattended swimming in the sea while the yacht is anchored.